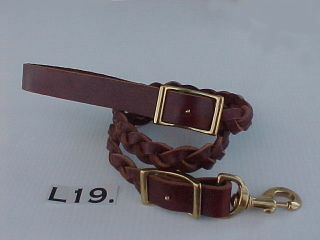 Fits Necks 12"-16" Fits Necks 14"-18" Fits Necks 16"-20" Fits Necks 18"-22" Fits Necks 20"-24" Fits Necks 22"-26"
L11. 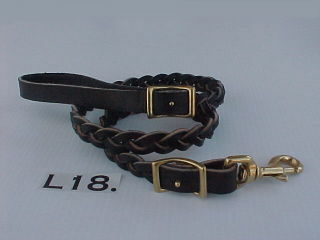 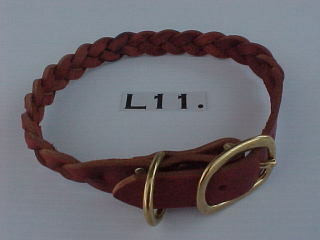 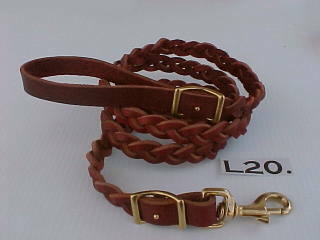 1" Wide Braided Leather Collar Only $14.00 Made Of Supple Latigo Leather With Solid Brass Hardware. 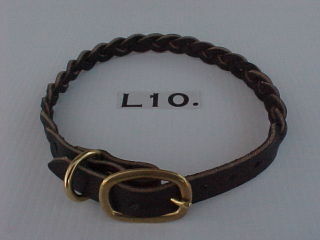 L18-20. 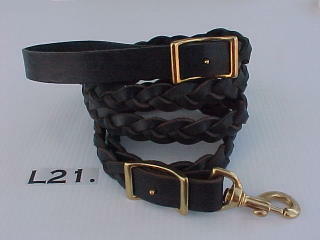 3/4" Wide 3 ft., 4 ft. & 6 ft.
Made Of Supple Latigo Leather With Solid Brass Hardware.